Our Chakra set offers seven oval shaped pendants which are highly polished gemstones embossed with chakra charm. 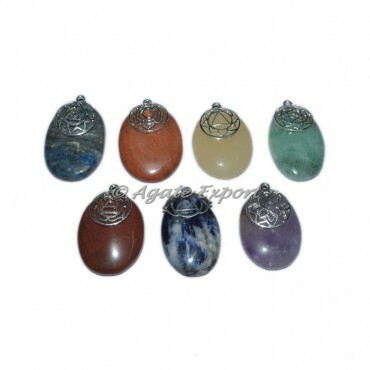 To buy this chakra set visit us at agate export. This chakra set can be customized as per your preference for logo and design.